A new play by Playwright DEA HURSTON Friday Evening, March 8, 2019 Educational Cultural Complex 4343 Ocean View Boulevard San Diego, CA 92113 7:00 until 9:30 p.m.
Common Ground Theatre’s mission is “to produce classics and new works by and about people of African descent that entertain, educate, and connect with audiences of all ages, cultures, and backgrounds.” As the premier San Diego Black theatre, our aim is to produce high quality theatrical productions that provide a “common ground” for people of all ages, cultures, and backgrounds to participate, interact, connect and share their love of theatre. “STARS” THEATRE ARTS TRAINING: As the oldest San Diego Black theater, one of Common Ground Theatre’s chief roles is to provide youth training as well as educational outreach activities for persons of all ages that help participants gain a deeper understanding of theatre as an art form, acquire theatre skills as a vocation or avocation, and engage in dialogue around the themes and issues raised by the playwrights in the productions on the CGT stage. 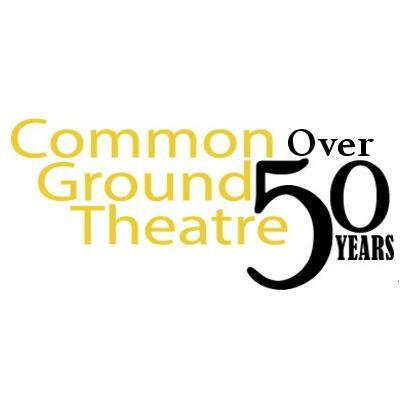 One of Common Ground Theatre’s chief roles is to provide youth training as well as educational outreach activities for persons of all ages that help participants gain a deeper understanding of theatre as an art form, acquire theatre skills as a vocation or avocation, and engage in dialogue around the themes and issues raised by the playwrights in the productions on the CGT stage. We are one of the few African American theater goups in San Diego. As we continue the legacy of our founders and the late great Dr. Floyd Gaffney, we hope that you continue to support our endeavors."